ATTEMPTS TO STRENGTHEN New Zealand¡¯s gun-control laws have failed in parliament four times over the past 20 years. That was before a white supremacist laid siege to two mosques in the city of Christchurch on March 15th, killing 50 people. This week a bill to ban the kind of high-powered semi-automatic weapons that he used was introduced; every MP but one supports it. It should sail into law in days. New Zealand has one of the world¡¯s highest rates of gun ownership, with 26 guns per 100 people. That puts it 20th out of the 230 countries and territories ranked by the Small Arms Survey, a research institute. Despite this, it ranks only 172nd out of 195 countries in terms of deaths per person from firearms, according to data from the University of Washington (see chart). Total killings with guns are typically in the single digits each year, out of a population of 4.8m. The already low rate of killings with guns is one reason why it will be hard to discern the new law¡¯s effectiveness. Australia adopted similar legislation in 1996 after a mass shooting in the state of Tasmania. 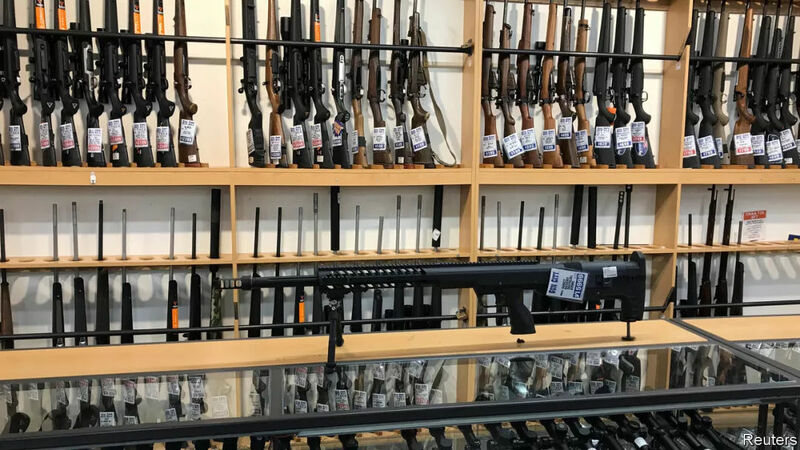 The Australian government banned semi-automatic rifles, created a national gun registry and bought firearms from citizens, as New Zealand intends to. The stock of licensed guns fell by about a third. Australia¡¯s gun reforms almost entirely eliminated mass shootings. Between 1980 and 1996 there were 13 incidents in which five or more victims were shot to death. There has been just one since. But until Christchurch, New Zealand had not seen any mass shootings in over 20 years, despite the many semi-automatic rifles. This suggests that social norms have been New Zealand¡¯s best defence against mass shootings. But as Philip Alpers of the University of Sydney notes, the killer in Christchurch would simply not have been able to buy such deadly weapons in his home country, Australia.